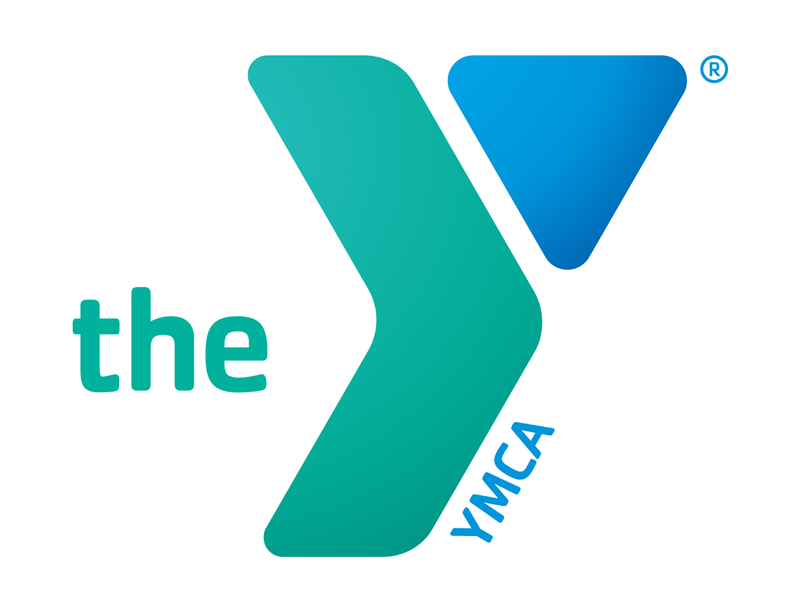 Though the world may be unpredictable, one thing remains certain- the Y is, and always will be, dedicated to building healthy, confident, connected and secure children, adults and communities. The Y is made up of people of all ages and from every walk of life working side by side to strength communities. Together we work to ensure everyone, regardless of gender, income, faith, sexual orientation or cultural background, has the opportunity to live life to the fullest. We share the values of caring, honesty, respect and responsibility – everything we do stems from it. 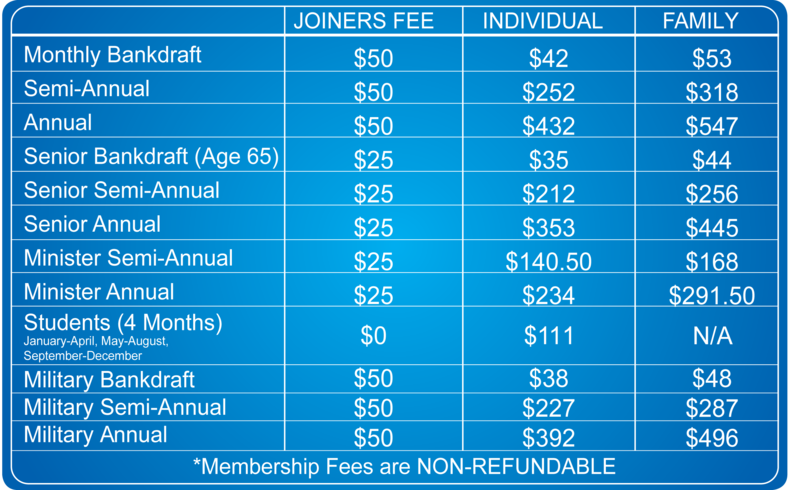 Individualized fitness programs are available to members FREE of Charge. Group X (Exercise) classes are included in your YMCA membership. Classes include Step Challenge, Spinning, Power Pump, Boot Camp, TRX, Zumba, Kardio-Kick, Yoga & Much More. Our group X room is equipped with a custom wood exercise floor designed to make exercising safe and comfortable. 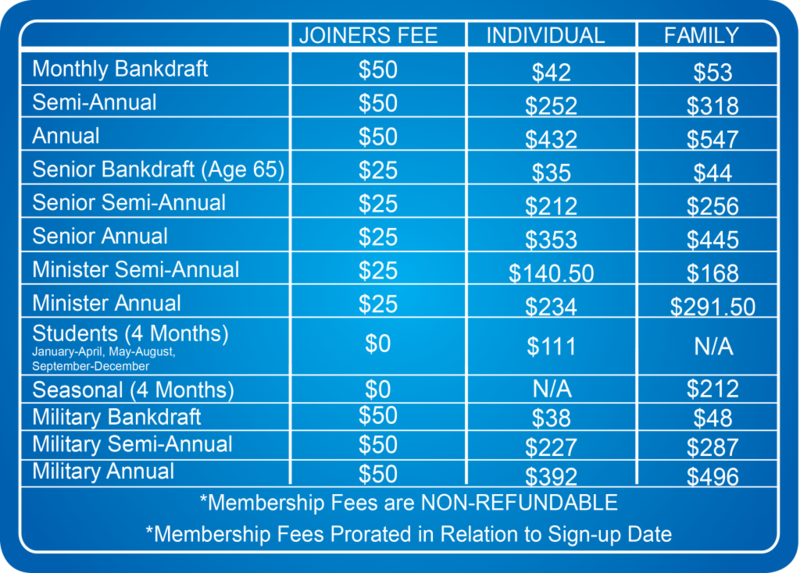 For information about class descriptions and schedules, please call the Member Services Desk. ALL ABOUT YOU – Get customized recommendations and expert attention that will help you stay motivated and achieve your goals. Our Personal Trainers are certified through at least one national health and fitness organization and have special areas of expertise. Meet your unique fitness goals and explore new fitness options through personal training at the Y. Work one-on-one with a personal trainer to create a fitness program that meets your needs and offers direction, education, motivation and support every step of the way. Or, work with a personal trainer in a group or semi-private setting to improve your fitness and work on your goals in a supportive environment. Structure – Meeting your personal trainer for appointments will ensure that you stick to your exercise commitment. Safety – Personal trainers teach proper exercise form and work at your pace to prevent injuries. Results – Personal trainers are educated to ensure you get results, so they help you make the most of your time at the YMCA. Variety – Keep your training interesting with different exercises and techniques to keep you on track all aimed at achieving your goals. Motivation – Progress means results, and seeing results helps motivate you. Plus, personal trainers provide encouragement and support to keep you on track. Progression – As your fitness improves, your personal trainer will always modify your exercise to ensure maximum enjoyment and maximum results! LAUNCH YOUR GOALS – Our free Fitness Consultations help Y members identify and get started on their healthy living goals or get guidance to ensure you’re on the right track. 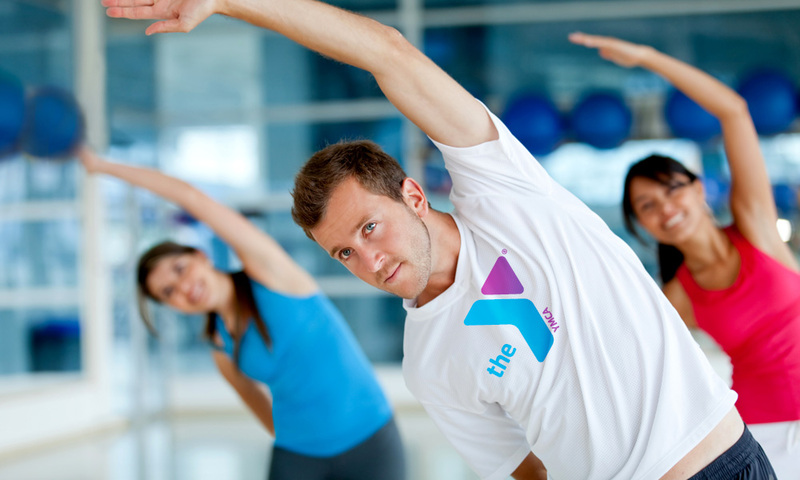 At the Y, we want to give you the tools you need to succeed in achieving your healthy living goals. Our Fitness Consultations are ideal for new Y members who want to launch their new healthy living goals right away, or Y members who want a little guidance to make sure they’re on the right track. At the end of the consultation, the consultant makes a personalized recommendation that focuses on what is important to the member and what he or she wants to achieve at the Y. Fitness Consultations are FREE with your Y membership. SUPPORT WHEN YOU NEED IT – This free program provides Y members with 12 free one-on-one sessions with a Fitness Coach, providing you with a customized wellness plan to get you on the path to achieving your goals. Y members who want support to reach healthy living goals. Whether you want to jump start your healthy living journey or you need an extra boost to your current routine, this proven program is designed for you. During the course of the program, you will meet one-on-one with a Fitness Coach for a 30-minute session each week for 12 weeks. Your coach will work with you to create a wellness plan to get you on track to achieve your wellness goals and help you get connected with the Y. At your first meeting your coach’s priority is to listen to your story. You’ll have an opportunity to share your health history, discuss your likes and dislikes, and talk about your goals. Best of all, this program is FREE for Y members. To schedule an appointment for these programs, please visit our Member Services Desk, Fitness Office, call the YMCA at 229.244.4646, or e-mail us at fitness@valdostaymca.com. Free weights and selectorized equipment by Icarian, Strive, Flex, High Tech, Hammer Strength and BodyMasters. Custom programs available for all levels of exercisers. Featuring the latest treadmills, stair climbers, EFX elliptical trainers, upright recumbent and virtual reality exercise bikes. Listen to music or watch your favorite TV show on our Cardio-Theater entertainment systems. The YMCA Women’s Center is a place where women can exercise in comfort and privacy. It is staffed seven days a week with female instructors who design custom programs to meet individual needs and goals. No appointment is necessary to see a fitness instructor! We offer the latest equipment to accommodate our female members. Your Valdosta and Lake Park YMCA now offers an accurate body composition measurement system that is fast, easy and non-intrusive. This one-step system, manufactured by the Tanita Corporation, looks like an ordinary bathroom scale, but it is much more. After you input your age, gender and height, you will simply step onto the platform and your body content and your weight is calculated automatically in less than a minute. HERE FOR YOU – Appointments are available to help you learn to make permanent healthy lifestyle changes by setting realistic goals, and focusing on nutrition, physical activity, motivation and positive thinking. At Y Nutrition, you attend groups facilitated by a trained nutrition specialist once a week for one hour. The program is eight weeks and FREE with your Y membership. Through Y Nutrition, you will learn how to set realistic goals that you can achieve each week. Our weekly lessons include topics focused on nutrition, physical activity, motivation and positive thinking. The SGMC Phase III program is located at the Valdosta YMCA. SGMC staffs this program with a certified RN and exercise specialist. The program is designed for those who have completed Phases I and II of a cardiac rehabilitation program and for those who suffer from heart disease, hypertension or diabetes. One in three American adults has high blood pressure, which puts them at risk for stroke and heart disease, two of the leading causes of death in the U.S. In response to this critical health issue, The YMCA’s Blood Pressure Self-Monitoring program offers personalized support as participants develop the habit of monitoring their blood pressure. Research shows that the process of recording blood pressure at least twice a month over a period of four months can lower blood pressure in many people with high blood pressure. To schedule an appointment for this program, please visit our Member Services Desk, Fitness Office, call the YMCA at 229.244.4646, or e-mail us at fitness@valdostaymca.com. Included with your YMCA membership! DANCE TO TONE: Dance to Tone is type of group exercise class that incorporates some or many forms of dance styles & rhythms. Toning dance workouts target smaller muscle groups to tone and slenderize the body. This class is about having fun and getting a great high intensity workout without realizing that you’re working out! BARRE: A total mind and body transformation. Barre brings in elements of dance, ballet, functional strength, pilates and yoga to create an adrenaline-fueled workout that strengthens, lenghtens and chisels the body, ensuring that no muscle is overlooked! BODY PUMP: Get lean, build strength and tone muscle with BODYPUMP. The original barbell class that shapes, tones and strengthens your entire body. BOOT CAMP: Get ready for fitness that addresses all areas of fitness including cardio and muscular endurance, fat loss and weight loss, full body strength, agility, balance, flexibility, and most important…fun!! BOXING: Based on the training of professional boxers, Group X boxing is an intense cardiovascular workout utilizing repetitive motion in punching and movement to shred those calories! CARDIO AND TONE: Combinations of high/low cardio combined with weights….total body workout!!! BOOT CAMP KICK: Intervals of kick combinations with bootcamp moves designed to give you an amazing wokout from head to toe, focusing on form and metabolic conditioning. FUNCTIONAL FITNESS: This class employs your body weight and simple physics to create an unlimited range of resistance and complete range of functional exercises. Get ready for some military training! HIIT: Get ready for a type of workout that will leave you dripping in sweat and work those muscles from head to toe! High Intensity Interval Training (HIIT) calls for repeated bouts of short duration, high-intensity exercise intervals intermingled with periods of active recovery. Designed with all fitness levels in mind, this type of training gets your heart rate up and scorches calories in less time. INSANITY: For people willing to work hard, drop sweat, and ignore the voice that says “This Is Too Hard.” Insanity is for you. High intensity interval training designed to torch maximum calories and take your body to new levels. KARDIO KICK: Fusion of boxing, martial arts and aerobics usually done rhythmically to music. Offering an intense cross-training and total-body workout utilizing the training routines used by combat athletes in martial arts, boxing and kickboxing. KICK AND TONE: A combination of Kardio Kick and weight training. A high-energy class with strength, cardio and stabilization moves combined into one! KICKBOXING: In this convergence of kickboxing, calisthenics & aerobics expect to kick your powerhouse into high gear! “Dynamic!” “Intense” “Muscle-burning” & “Body-sculpting” are all great testimonial words we’ve heard describing this class. LOWER BODY SCULPT: Designed strictly for the lower body muscles such as Gluteus, Hamstrings, Quadrilaterals and Calves! It is packed with squats, lunges and a multitude of workouts to tighten and tone the lower body! Good class for beginners as well as the advanced. PILATES: A mind-body intervention which focuses on strength, core stability, flexibility, muscle control, posture, and breathing. PLYOMETRIC CIRCUIT: A circuit class designed for those wanting to get a high intensity workout. Plyo exercises are when the muscles exert maximum force in short intervals. This class will increase your power and speed strength. POWER PUMP: Get a good pump on in this fun, total-body workout which teaches proper lifting techniques using barbells & plates. This class is designed to firm, tone, strengthen & define your muscles from head to toe! POWER YOGA: A Yoga class that will move from one posture into another. This class focuses on muscle strength and flexibility, along with balance and endurance. Your whole body will be worked as we include joint and back friendly squats, lunges, and abdominal poses. TOTAL BODY REGIMEN: A head to toe work out, where we tone all the muscles. High-energy cardio workout utilizing different types of equipment while we listen to high-energy Latin music! SILVER SNEAKERS: A total body conditioning class offering exercises for your upper and lower body designed to increase muscular strength, range of movement and activities for daily living. Resistance tools and a chair for seated and standing support are used to increase the effectiveness of functional skills and abilities. SPINNING®: Spinning is an aerobic exercise that takes place on a specially designed stationary bicycle called a Spinning Bike. Spinning brings health and fitness to every life style. If you’re looking for a calorie burning, energizing, fun workout, we can help you do that!!!! Ages 16 and up. STEP CHALLENGE: Experienced steppers wanted! Combinations of high/low step patterns are choreographed to energetic music for the ultimate aerobic experience. TRX: Suspension training is the best workout system that leverages gravity and your body weight to perform exercises. UPPER BODY SCULPT: A workout based strictly on the upper body muscles, such as Biceps, Triceps, Shoulders, Chest, and Back! Great class for beginners and the advanced! WATER AEROBICS: Use the natural resistance and buoyancy of water against your body to provide a wide variety of conditioning activity. No swimming is required in water aerobics, and flotation devices are used frequently. Water exercise helps increase your energy, stamina and strength. YOGA: This mind-body practice concentrates on both your physical health & mental well-being. We use a variety of styles during class including Vinyasa flows, Hatha bodily postures (asanas), specific breathing techniques (pranayama), & meditation techniques (dyana) with the goal of bringing about a sound, balanced body & a clear, peaceful mind. YOGALATES: A fusion of Yoga and Pilates, combine core pilates exercises with the postures and breathing techniques of power yoga. This class will increase core stability and power while building strength and flexibility to awaken your spirit and sculpt your entire body. ZUMBA® NOUVEAUX: ZUMBA® Nouveaux fuses hypnotic Latin rhythms and easy to follow moves to create a dynamic workout in an atmosphere with attitude that will blow you away. ZUMBA® is for everyone at any level. ZUMBA®-MANIA: If you can handle ZUMBA® then you can handle this hour and a half long class of hypnotic Latin rhythms! !